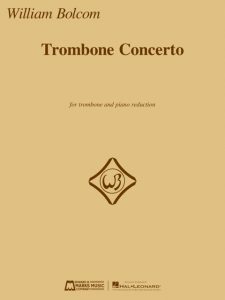 William Bolcom’s Trombone Concerto was premiered by the New York Philharmonic with Joseph Alessi as soloist in June, 2016. Since then the composer has also added a band transcription. The piano reduction is very playable by college-level pianists and renders this dynamic new concerto nicely suitable for recital performances as well.